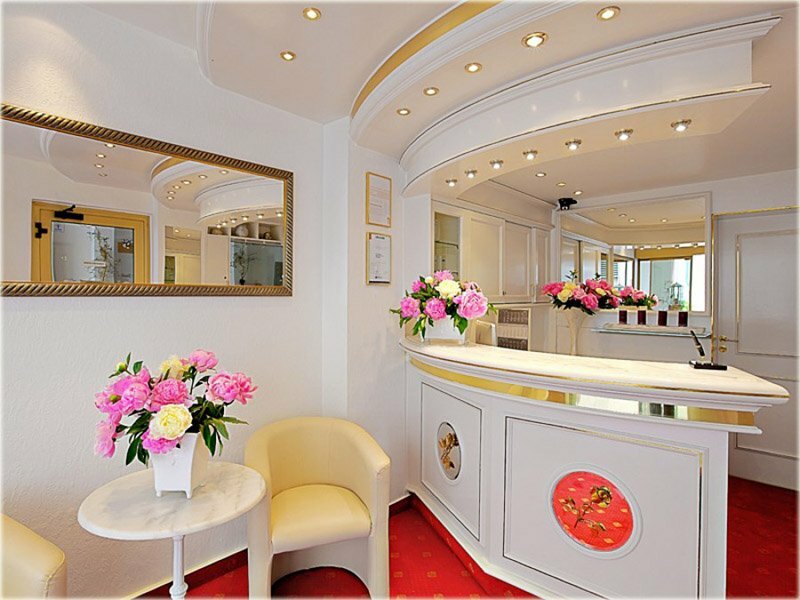 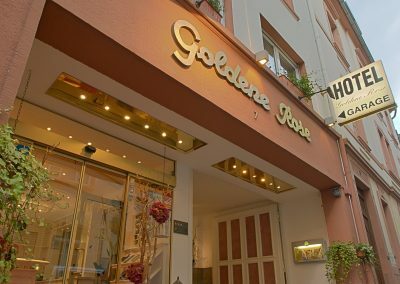 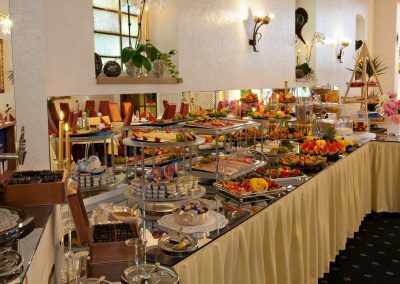 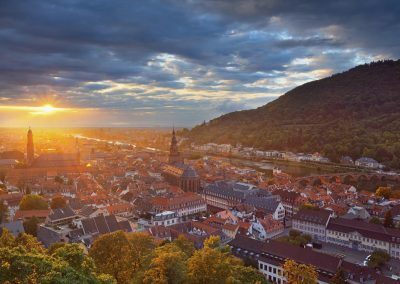 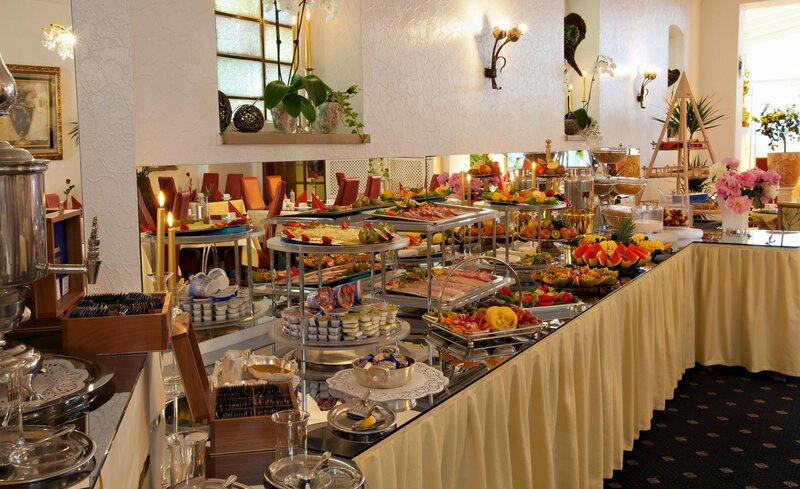 With its 100-year tradition in the heart of Heidelberg, between the Old Town and the River Neckar, the Golden Rose awaits you with its historic charm and modern facilities. Enjoy the flair of the romantic streets, the cosiness of the small cafés and discover the main road around the corner, which leads you to Heidelberg Castle and a city with a lot of history. 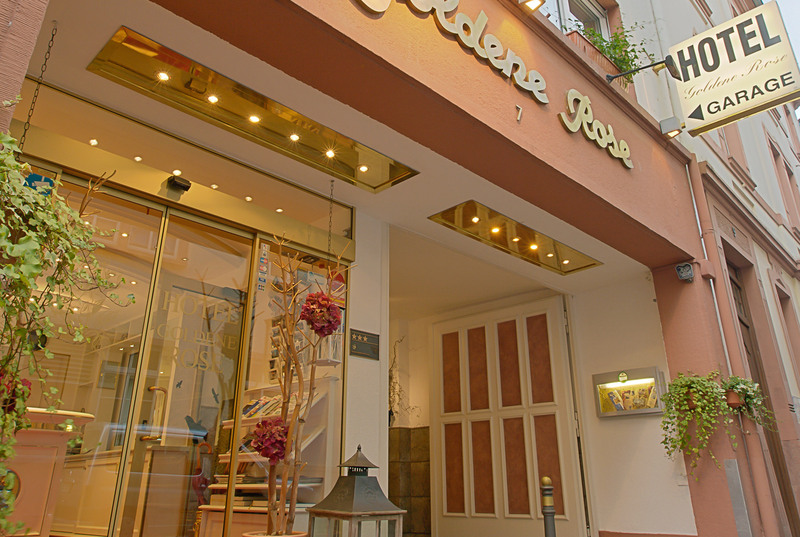 Never in its more than 100 years of tradition was the “Golden Rose” so lovable as it is today. 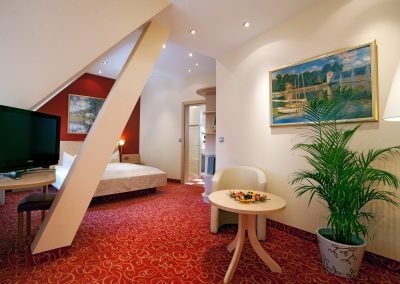 Contemporary equipment, attentive service and always peace, comfort and the special Old Town flair will make it easy for you to relax with us. 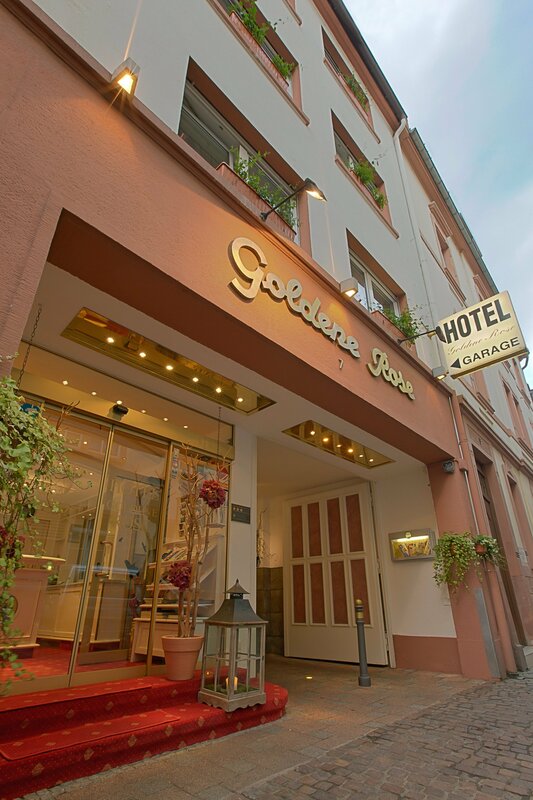 The hotel is officially rated three stars. 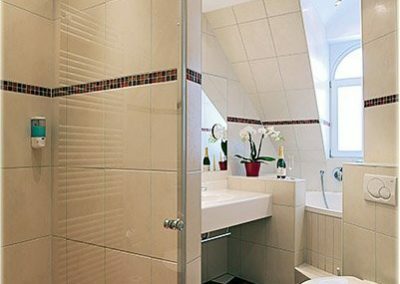 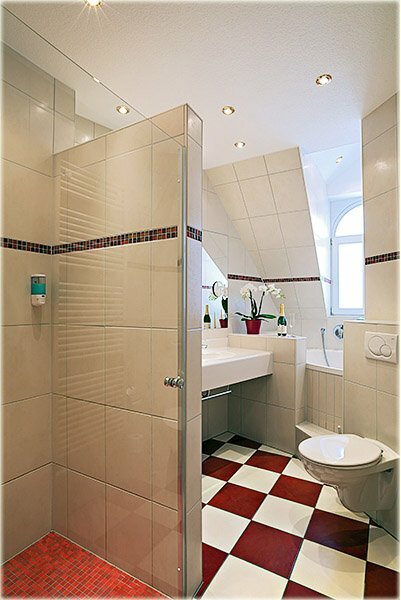 All rooms are beautifully furnished with elevated standard, shower or bathtub/toilet, TV and telephone. 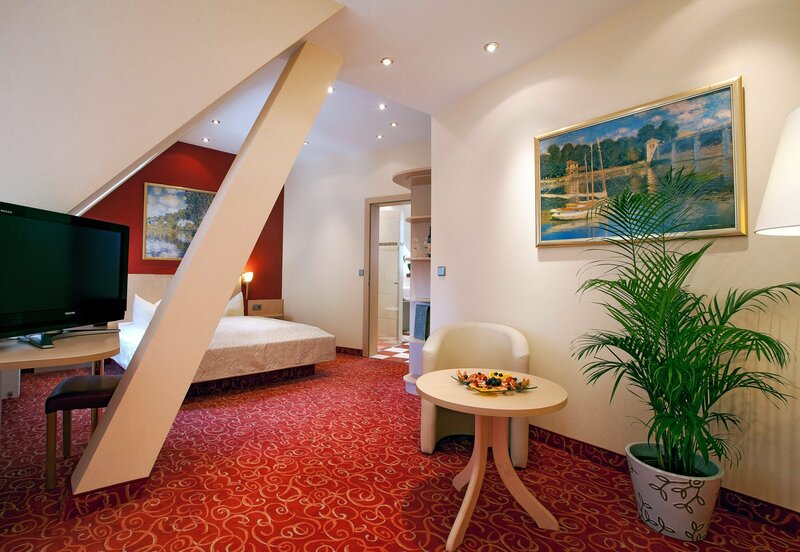 We also offer beautiful, spacious junior-suites with mini bar and air-conditioning. 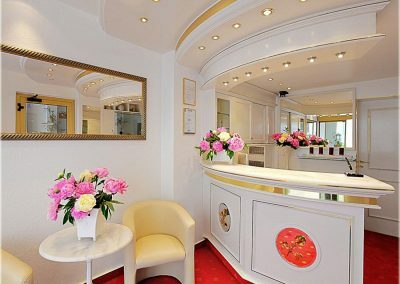 We are 24 hours there for you during the day and help Happy to continue.